The 1893 Isabella Quarter was the second commemorative coin issued by the United States and was also created for the World’s Columbian Exposition in Chicago. 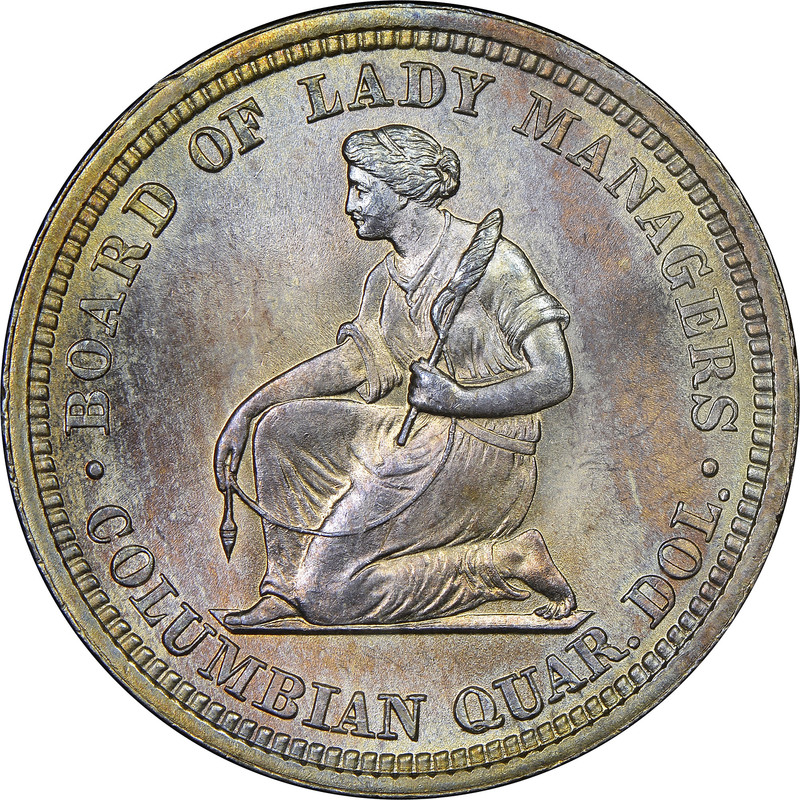 The coin was produced at the insistence of a prominent woman of the Chicago social scene, Mrs. Potter Palmer, who was also on the Board of Lady Managers for the Exposition. This Board, which was formed with help from Susan B. Anthony, was formed to ensure there would be female voices in the planning of the fair. Mrs. Palmer suggested that $10,000 of the funds appropriated to this board be issued in the form of commemorative quarters containing a female motif. After much back and forth between the Treasury Department and the board, the designs were finally chosen; a young Queen Isabella on the obverse and a woman kneeling while holding a distaff on the reverse. 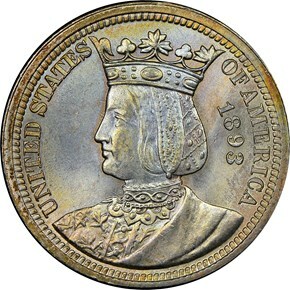 This coin was to be the first issued by the United States to depict a foreign Monarch. 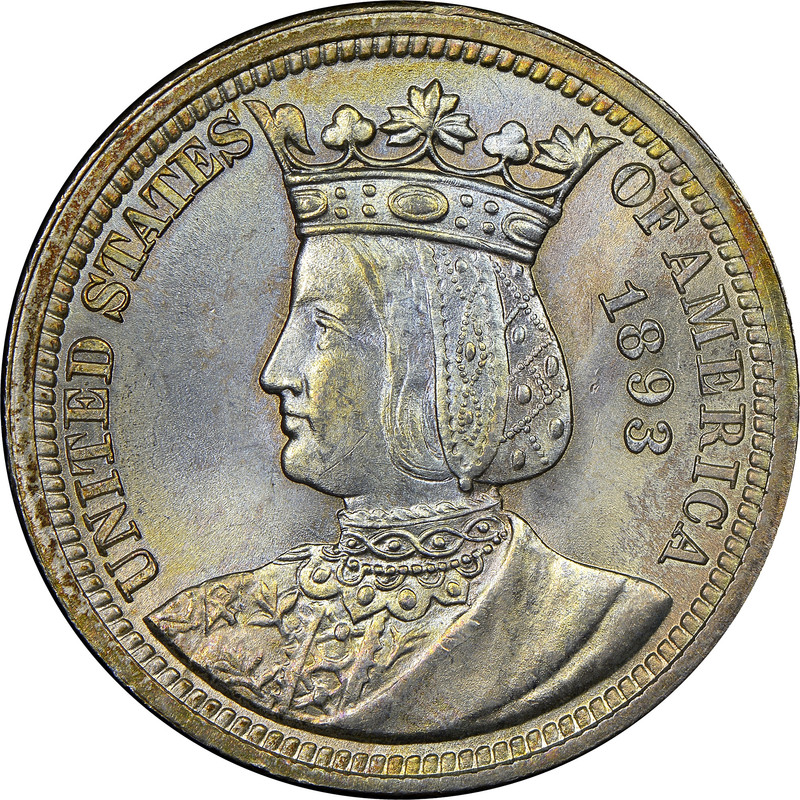 Unfortunately for the ladies, the Columbian Exposition Half Dollar featuring Christopher Columbus on the obverse and the Santa Maria on the reverse, took much of the wind out of the sales of the Isabella quarter. The price undoubtedly didn’t help, as the quarter cost a dollar, the same as the Columbian half dollar. While the maximum mintage of 40,000 was struck, 15,809 were melted, for a total mintage of 24,191 not including assay pieces. This low mintage (only 1.6% of the number of commemorative halves distributed) accounts for the coins’ scarcity today.